Home / 2017 / August / 2 / Episode #2: Relinquish Beauty? Ideas of being good enough are central to the Western lifestyle that says it’s okay for each of us in the UK to individually consume four planets’ worth of resources each year. That is clearly unsustainable. If we’re going to live more ecologically-sound lives, in touch with our resources and our communities, a number of things need to change. While the previous episode went right to the root of the problem in examining patriarchal masculinity, this episode challenges the concepts of beauty, fashion, and how we present ourselves to others through mass consumerism. With a focus on how images of beauty are used against women (Naomi Wolf) to limit their lives, this podcast takes a walk around consumerist Newcastle, and is interwoven with interviews from academics, feminists, women working in fashion, and those tackling patriarchal capitalism, to ask how and if we can ever relinquish beauty? The walk for this event will take place at 445pm on Wednesday 29th November. 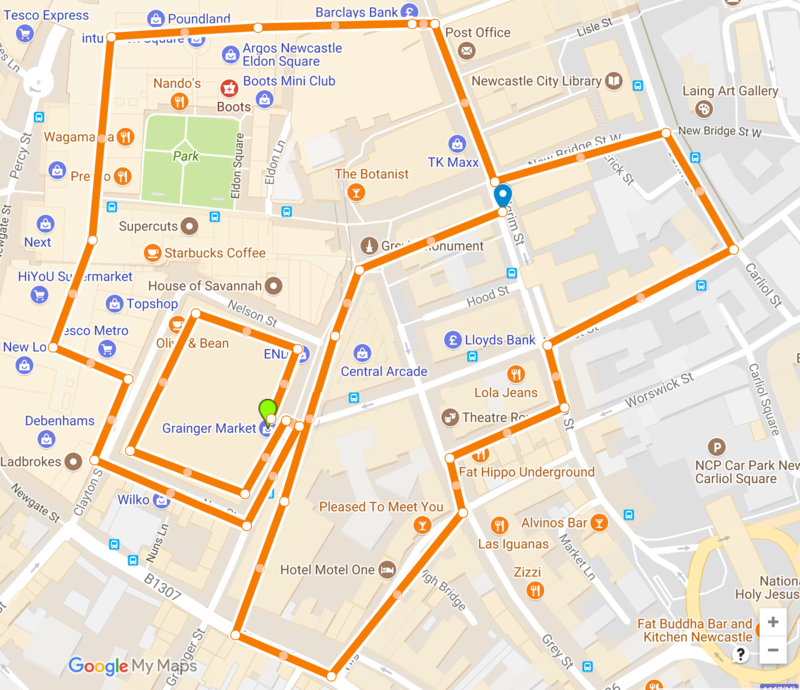 The walk will end with at 6pm at Ampersand Inventions, 4th Floor, Commercial Union House, 39 Pilgrim Street, NE1 6QE. It will be followed by refreshments and the opportunity for discussion with fellow participants, and an introduction to some of those featured on the podcast. REGISTER HERE. The event is FREE but requires a £5 deposit that will be refunded 24hrs after the event. The walk is limited to 18 places.